During the Nintendo E3 2018 Treehouse stream, it was revealed that there will be 3 new amiibo for Super Smash Bros Ultimate. 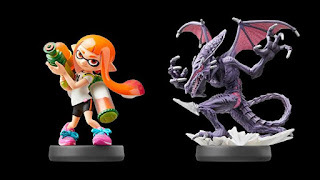 Those amiibo are for Ridley, Daisy, and the Inkling Girl. Those amiibo will presumably be available once the game launches on December 7.